Toast 4 english muffins and spread with butter. In a small skillet, heat kalua pork. Add a couple tablespoons of water if necessary to create steam. Poach Eggs. In a pot or deep skillet, boil water to poach eggs. The water should be about 5-6 inches deep. Once the water starts boiling, add salt and 1 tablespoon of vinegar for every 2 cups of water. This is very important! Now lower the heat to a low simmer. Crack an egg into a ladle or small dish and gently pour it into the hot water. Allow it to cook for 2-3 minutes and remove it with a slotted spoon. Vigorously whisk the egg yolks and lemon juice together in a stainless steel bowl and until the mixture is thickened and doubled in volume. Place the bowl over a saucepan containing barely simmering water (or use a double boiler,) the water should not touch the bottom of the bowl. Continue to whisk rapidly. Be careful not to let the eggs get too hot or they will scramble. Slowly drizzle in the melted butter and continue to whisk until the sauce is thickened and doubled in volume. Remove from heat, whisk in cayenne and salt. Cover and place in a warm spot until ready to use for the eggs benedict. If the sauce gets too thick, whisk in a few drops of warm water before serving. You will love the rich creamy sauce dripping over your pulled pork sandwich. Put a generous amount of kalua pulledp ork open faced on each english muffin half. 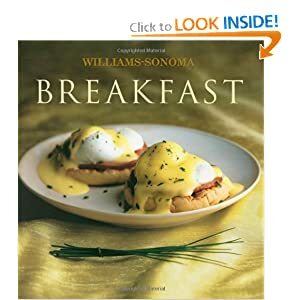 Gently place the poached egg on each half and cover with hollandaise sauce. Sprinkle with a cayenne pepper for color.